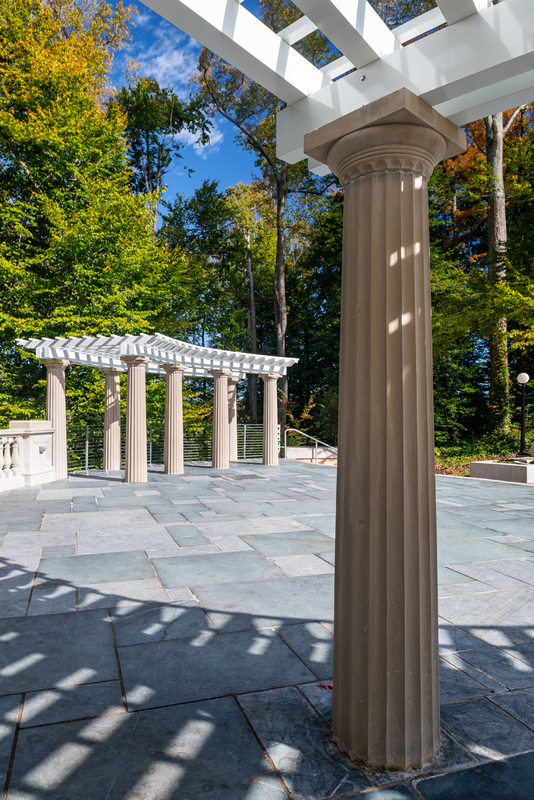 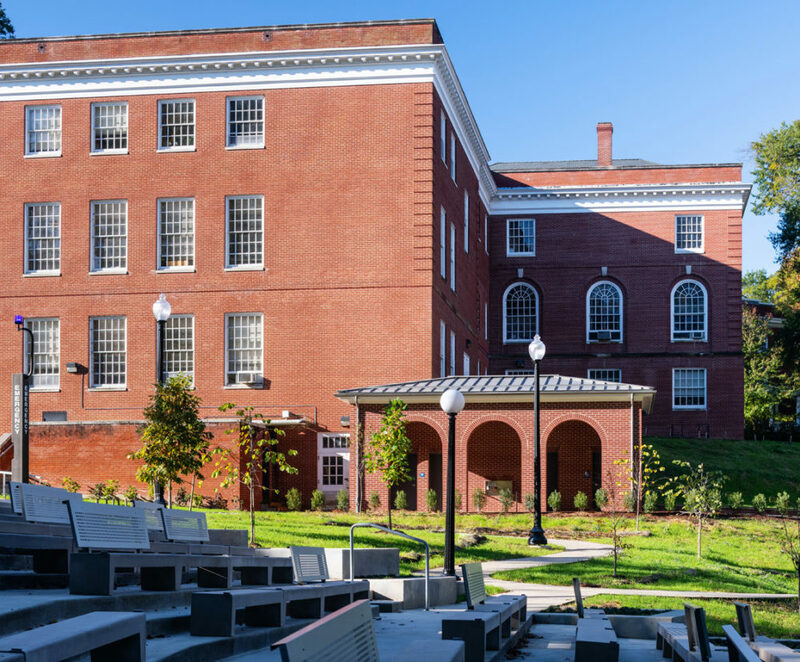 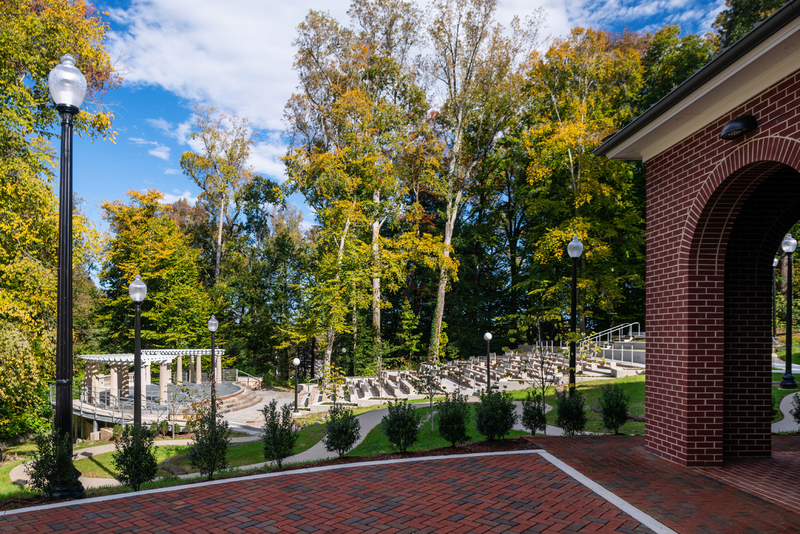 GLAVÉ & HOLMES ARCHITECTURE assisted with the rehabilitation of the historic Amphitheatre at the University of Mary Washington in Fredericksburg, Virginia. 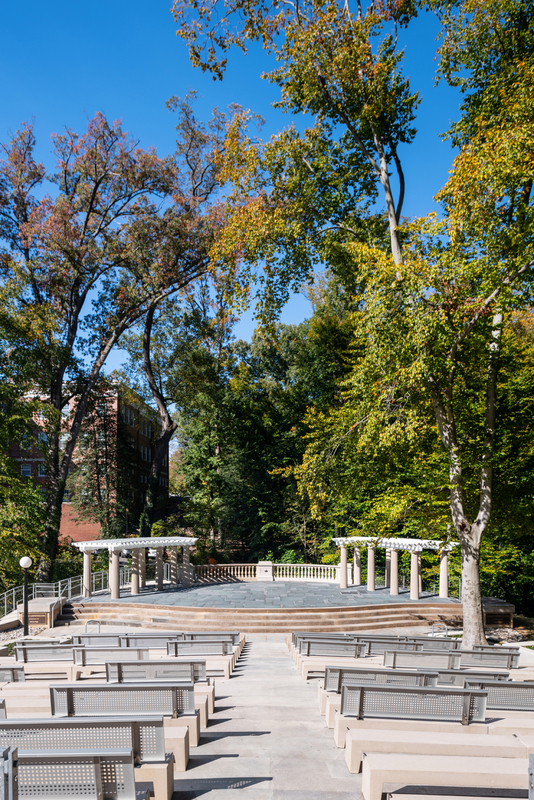 A long-cherished campus location whose construction dates from 1923, the Amphitheatre was repaired and upgraded to retain its attraction as a quiet wooded campus park, while continuing to serve as a flexible outdoor academic facility. 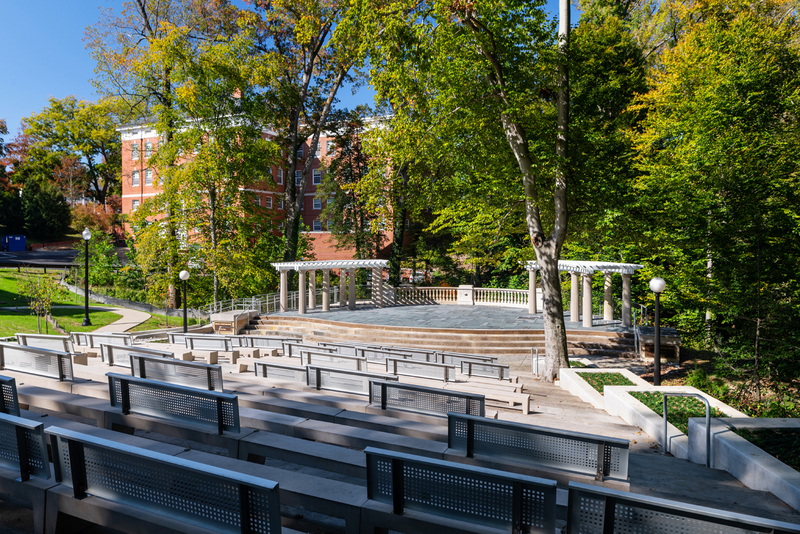 In addition to a sensitive historic renovation, the inclusion of barrier-free access paths, seating, and newly constructed restroom facilities ensure that the Amphitheatre remains a rich piece of the University’s fabric. 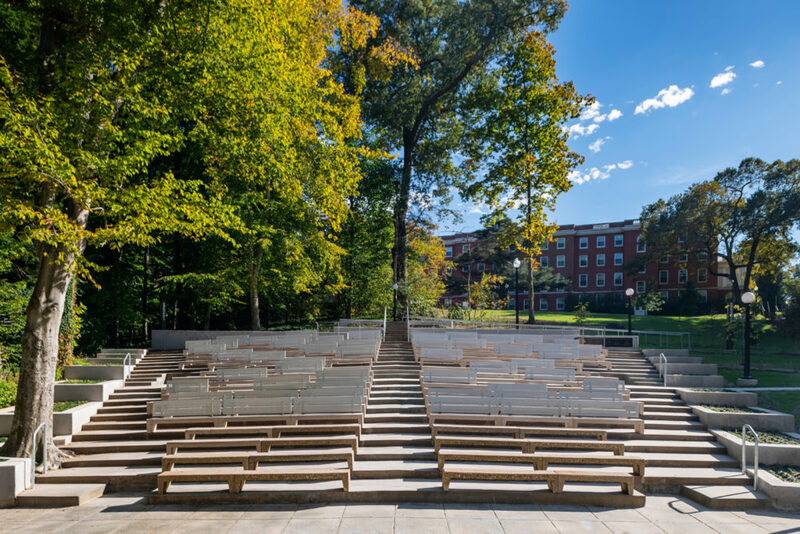 The judicious and farsighted assessment, preservation, and enhancement of the wooded environs surrounding the Amphitheatre, including a natural perennial stream channel, are integral aspects of the project.